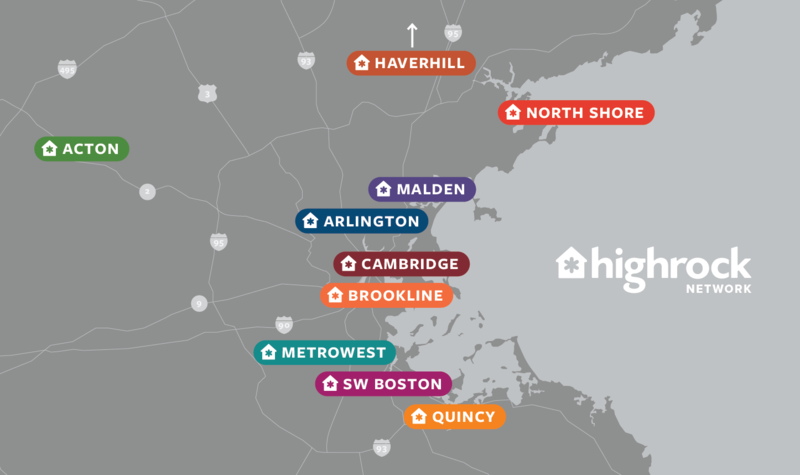 Welcome to Highrock MetroWest! If you’re new to Highrock, our Sunday service is the best place to get to know us. Of course you are welcome to any of our public events as well! Whether you're looking for a church or a place to ask questions and connect with God, we look forward to seeing you soon! Please come as you are! You don’t have to dress or act a certain way, or even believe what we believe! We worship in a variety of ways, through songs, stories, art, and sermons. We value relevance while adhering to centuries-old Christian traditions, and incorporate both ancient and contemporary elements in our worship. Please stay and enjoy coffee and goodies in the Fellowship Hall. We'd love to get to know you and introduce you to our wonderful and growing family! On Sundays, many of our teens serve in various areas of the church like our children’s, worship, tech, welcoming, and hospitality ministries. In addition, we encourage high schoolers especially to be a part of the entire worship service so they can connect with the whole church. Our sermons and other content are directly relevant to the lives of our teens! Contact Michael Taber michael@highrock.org for more and for information about middle school and Doug Meppalink doug@highrock.org for more information about high school. 754 Greendale Avenue, Needham, MA 02492. We are one of several groups that use this shared facility. On Sunday mornings we use the building for worship from 9:30-11:00am, but then move into the Fellowship Hall so that another congregation can prepare and use the sanctuary for their service. We are proud to be a part of what God is doing in this space through the many expressions of faith in Jesus represented here! We have ample parking in our own parking lot! At Highrock we want to include everyone around God's table, including those with physical challenges. In both our strengths and our limitations, we each reflect essential elements of the Image of God. We hope that you will feel welcome here so that the Image of God we reflect as a church body might be more complete. Our facility is ADA compliant and we will happily assist you in accessing our services. Please feel free to contact us if you'd like to speak further about accessibility.